Birthday girl bodysuit in your color choice for wording! 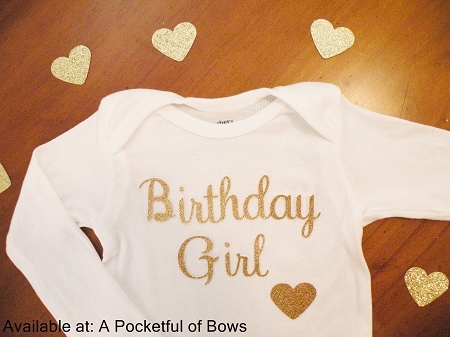 This birthday bodysuit is pictured in glitter gold and is also available in your color choice! Select your color choice from the option below. Long or Short Sleeves available!